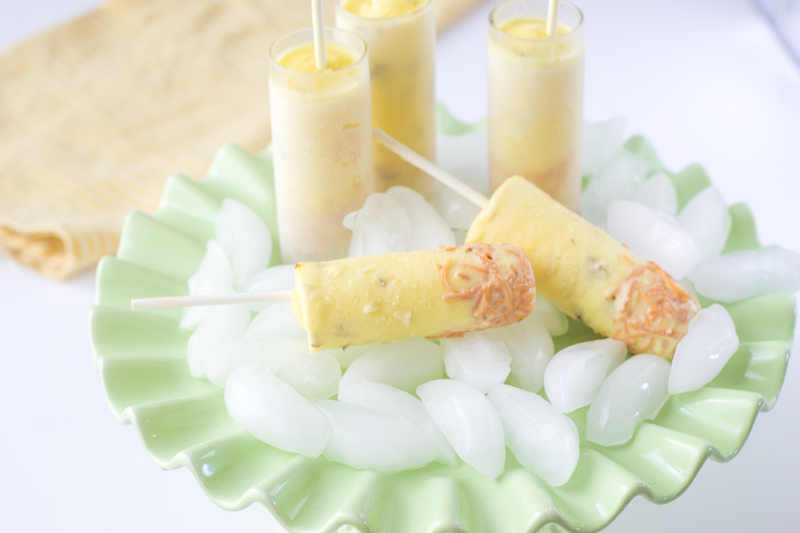 Saffron, Almonds, Condensed milk blissful combination, ultimate symbol of luxurious food. 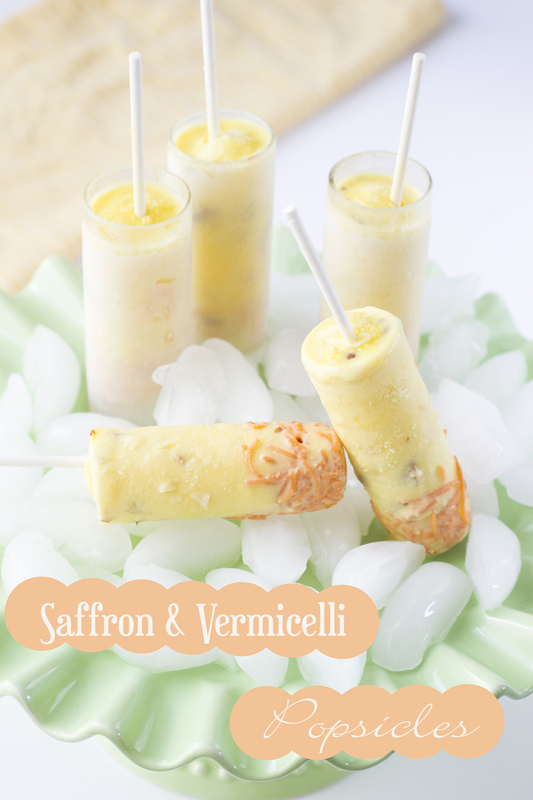 To add to the classic flavors, vermicelli brings back the vintage Indian flavor.This old fashioned recipe with a fun twist can’t be any simpler. 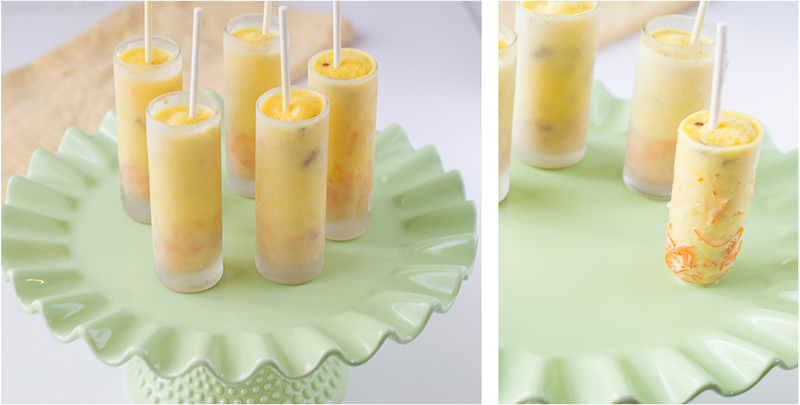 Mixing the ingredients as you desire, fill in molds(I have used shot glasses), freeze and enjoy! Detailed Recipe follows.. Mix 2 tbsp corn starch in 1/2 cup room temperature milk and set aside. Bring the remaining milk to boil and combine condensed milk on medium flame. Slowly incorporate corn flour-milk mixture. Once the mixture thickens add saffron strands and chopped Almonds. Let it cool. Layer shot glasses with cooked vermicelli* followed by the mixture. Freeze.